We carry pitot tube covers for most aircraft. Protect your pitot tube plumbing from precipitation, debris and insects with these snug fitting pitot tube covers. 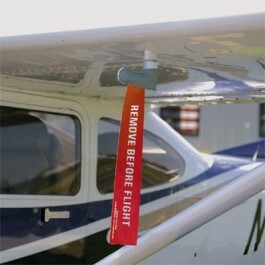 Attention-getting REMOVE BEFORE FLIGHT streamer makes them highly visible so you won't forget them during preflight.